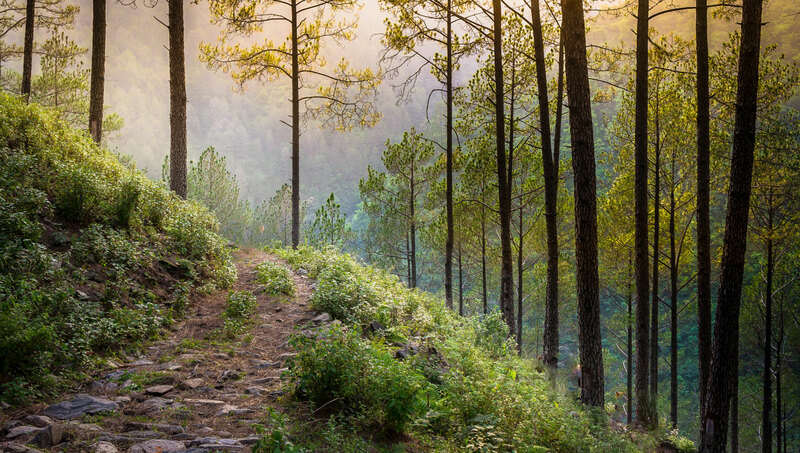 This beautiful, though steep uphill trek through the Pine forest takes one to the main road, going onwards to Padampuri. It provides good views from the top of the mountain towards the river valley. Conversely speaking, this is the alternate route that one undertakes to reach the property, during the monsoon when access to it via the regular trek is shut due to increased water levels in the river. On the way up, is the home of the village Pujari, who tends to the religious duties of the local temple. Dedicated to a hill deity, Saim Devta, the temple is a short, 400m walk from the main road. BTW, the village priest, is our ‘soul’ neighbour and the only other inhabitant on this entire hillside! On your way, do notice the tall pines, their sharp needle like leaves, the pine cones littered on the way…which most children pick up as a souvenir of the mountains! 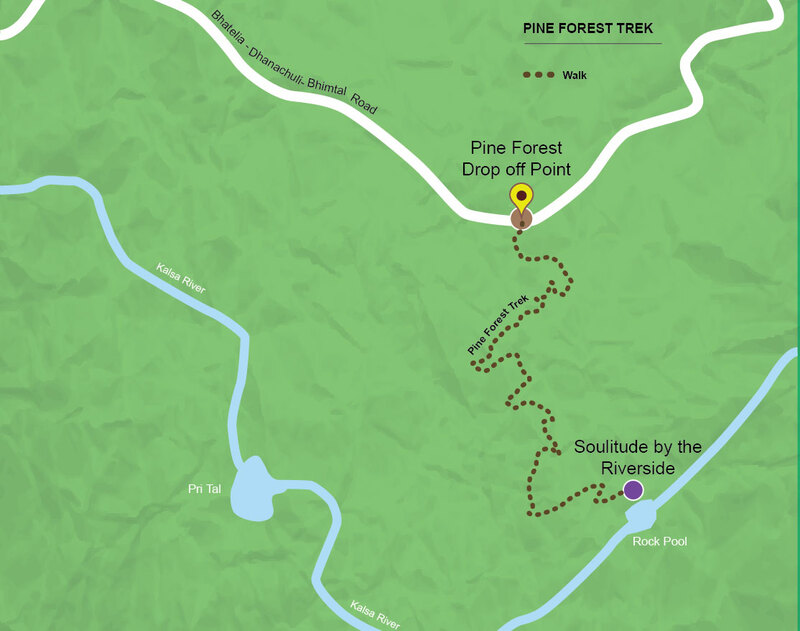 Time: The time required to complete the trek would be 1.5 – 2 hours. Rating: Since this trek is half uphill, it is a moderately strenuous one, though the walk back is much easier. For those of who get tired, they may perch at our hospitable neighbour’s home for a bit to catch their breath as it forms the midway point. During the monsoons, one would need to be careful on the downhill as the wet stones could be slippery. Other than that, anytime is a good time to undertake this trek save in the warmer months, when one may want to avoid the overhead sun.